In this episode Caitie and I answer listener questions about Intuitive Movement. How much movement do you actually need? How do I reconcile the need for movement if I don’t want to do it? What if you intuitively never want to move more than a short walk or activities of daily living (ie cooking, cleaning etc). I want to exercise but finding actually doing it impossible. Where is the line between forcing myself to exercise until I break through the “blah” and find my motivation, and listening to my body? What if you struggle with feeling like you NEED to workout everyday? 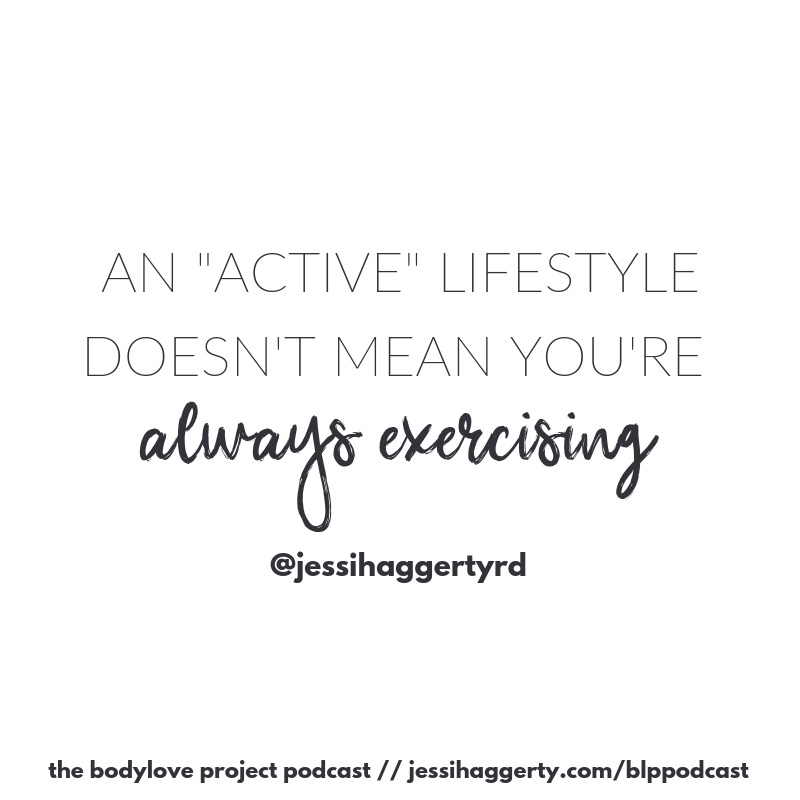 What if you can’t get over liking the way your body looks because of a certain workout? How to train for a race and listen to your body at the same time? How can you move intuitively if you are using a prescriptive strength training program to reach certain goals? How can trainers teach intuitive movement?